Taking a classic dish and making it your own. Now, that’s inspiration. 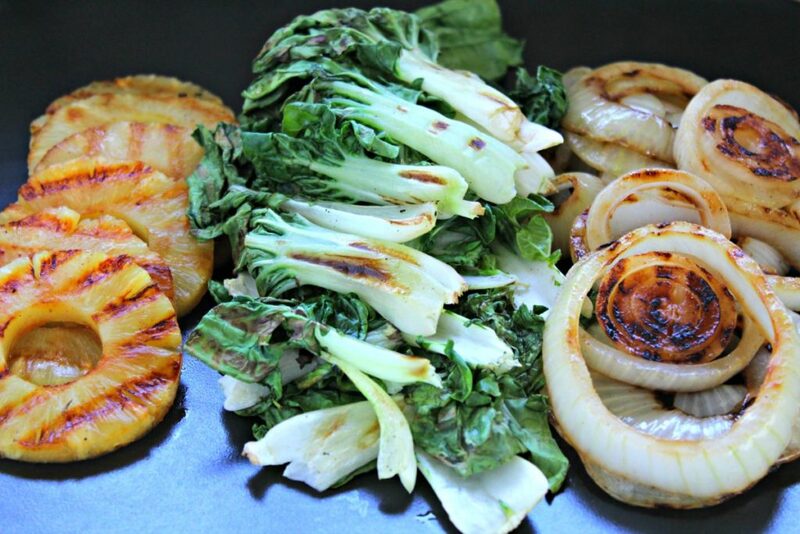 This is what we’ve done here with our Tacos Al Pastor with Baby Bok Choy recipe. You can find our recipe at the Jade Asian Greens website. Art and I have been looking to incorporate more vegetables in our meals. We received a few packages of Jade Asian Greens Baby Bok Choy and know that this is one of the most nutrient-dense vegetables in the world. We’re lucky to live in a neighborhood of Los Angeles where taco trucks actually do line every street corner on weekend nights. Drive down the main avenue and you’ll find small makeshift taco stands or trucks with bright white lights strung across beaming from a generator. Step a little closer and you’ll see a taquiero chopping meat, dipping small corn tortillas in a bit of oil and then warming them up on a griddle. For me, seeing a trompo or vertical spit with layers of thinly sliced and marinated pork and a large chunk of pineapple on top tells me these folks are legit! That’s the making of my favorite taco de al pastor. Did this pique your curiosity? 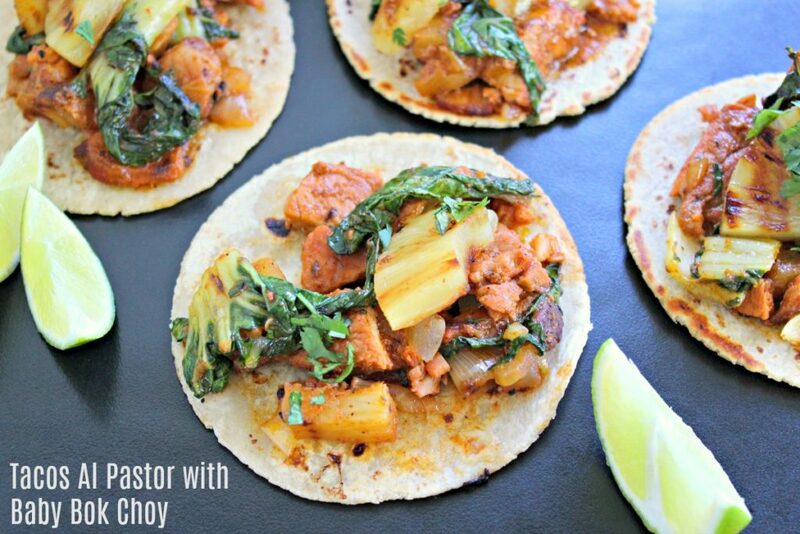 Seriously, give it a try and check out our recipe here: Tacos Al Pastor with Baby Bok Choy. We took all that goodness in the tender, marinated pork and sweetness of pineapples and added the Asian leafy green vegetable. Why go on the hunt for a taqueria in your neighborhood when you can have all the flavors of a good taco right at home in your own kitchen? Go ahead. 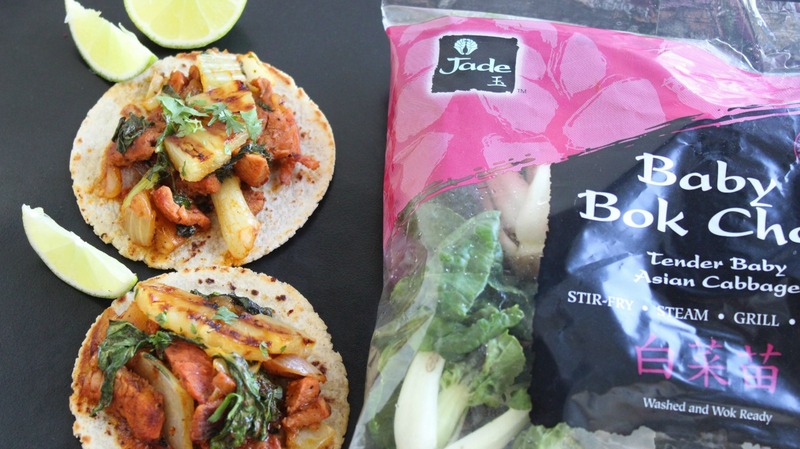 Give our Tacos Al Pastor with Baby Bok Choy a try! If you’d like more recipes, Jade Asians Greens has a website full of baby bok choy recipes! and a Baby Bok Choy Pinterest board. And join LatinoFoodie in following them on their social media channels for more delicious recipes and ways to use nutritious greens: on Facebook, Twitter, and Instagram.